The magnificent Vickers Supermarine Spitfire, together with its able partner the Hawker Hurricane, saved Britain from Nazi invasion in the summer of 1940 and irrevocably changed the course of the Second World War. This new book from Philip Kaplan celebrates one of history's most important weapons in a glorious new light. 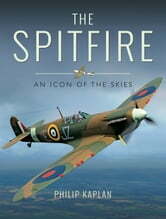 A British national icon, the Spitfire is the best-known symbol of the war years for generations of Britons. From the deep, haunting growl of its Rolls-Royce engine, to the elegant style of its elliptical wing, it is perhaps the most famous and revered combat airplane ever built. Kaplan investigates just what it is that fuels the Spitfire's compelling mystique. During wartime, it held an unrivaled reputation amongst Allied and Axis airmen. Today, it continues to hold aviation enthusiasts in thrall. 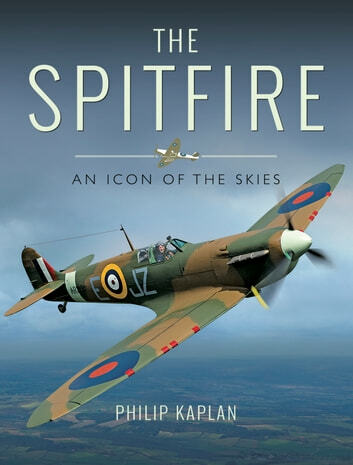 Kaplan highlights the immeasurable contributions of Spitfire designers Reginald J. Mitchell and Joseph Smith, test pilots Jeffrey Quill, Mutt Summers and Alex Henshaw, and ace Spitfire pilots including Al Deere, Sailor Malan and Pierre Clostermann. All added to the legend of this lovely, but deadly, little fighter. The origin and evolution of the plane are tracked, and the story of the marvelous Merlin engine that powered so many Spitfires through those challenging war years and beyond is brought to life. Kaplan considers the phenomenon of the burgeoning warbird movement, a worldwide effort to restore, preserve and display scores of Spitfires and many other military aircraft types for hundreds of thousands of air show visitors the world over. There are only a few airworthy Mark I Spitfires today and this book centres round the Mk Ia AR213, whose total restoration to flying status was completed in 2008\. Much of its colourful background is described, as is the experience of flying it, in the words of both Tony Bianchi and Jonathan Whaley, who have flown it for many years and, arguably, know it better than anyone. In this, the eighth decade of Mitchell's brilliant fighter, Spitfire: An Icon of the Skies is dedicated to the craftsmen and women who built it.